Crawford, J. Marshall. 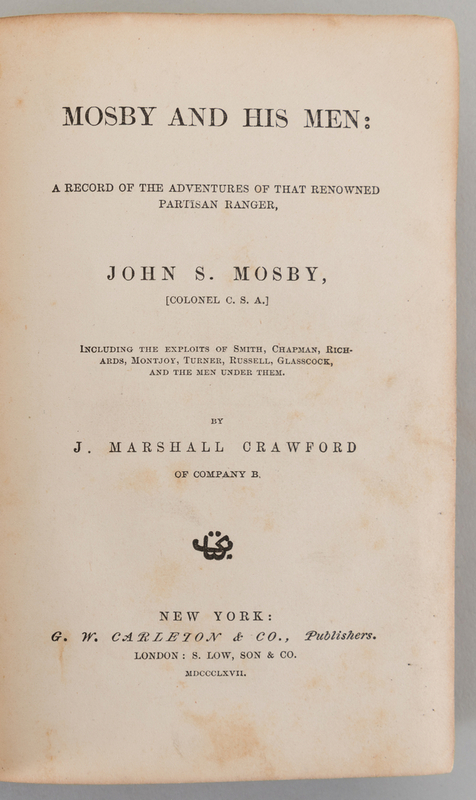 MOSBY AND HIS MEN: A RECORD OF THE ADVENTURES OF THAT RENOWNED PARTISAN RANGER, JOHN S. MOSBY, [COLONEL C.S.A.]. Including the Exploits of Smith, Chapman, Richards, Montjoy, Turner, Russell, Glasscock and the Men Under Them. New York: G.W. Carleton & Co. 1867. 375pp. 8pp. Advertisements. Decorated with plates. 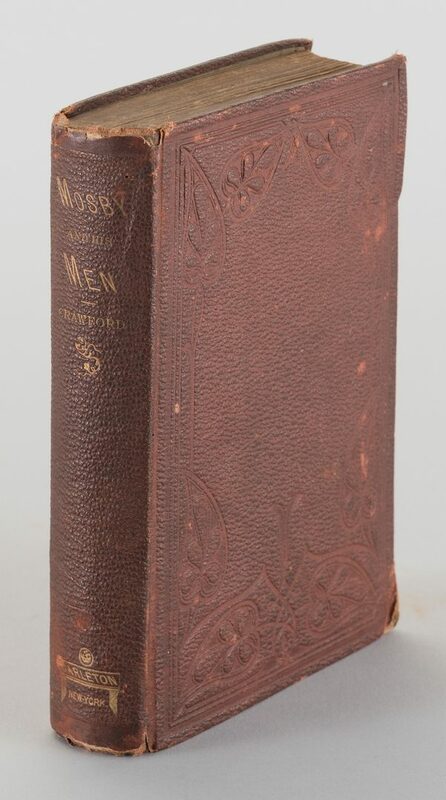 7 1/2" H x 5 3/8" W x 1 3/8" D. CONDITION: Publisher's stamped cloth, gilt on spine. Boards bumped, with edgewear and darkened. 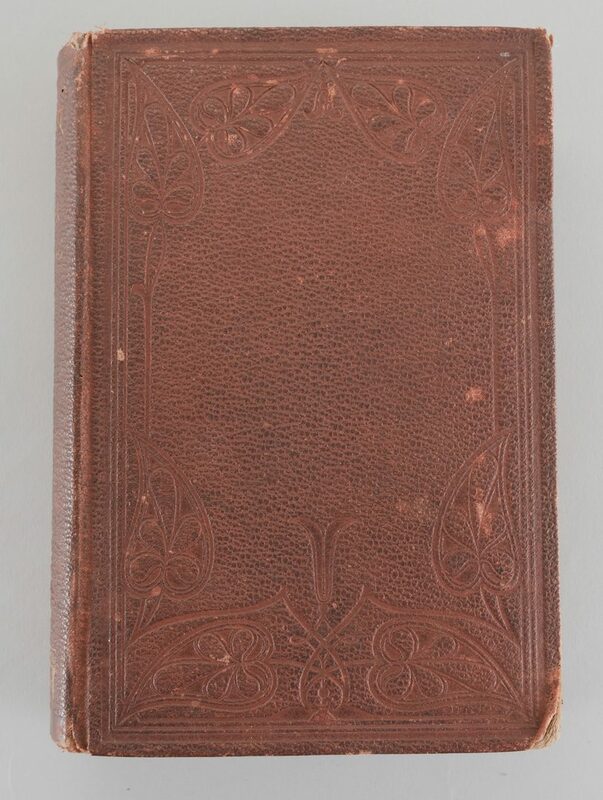 Gilt on spine faded. Fraying top/bottom spine. 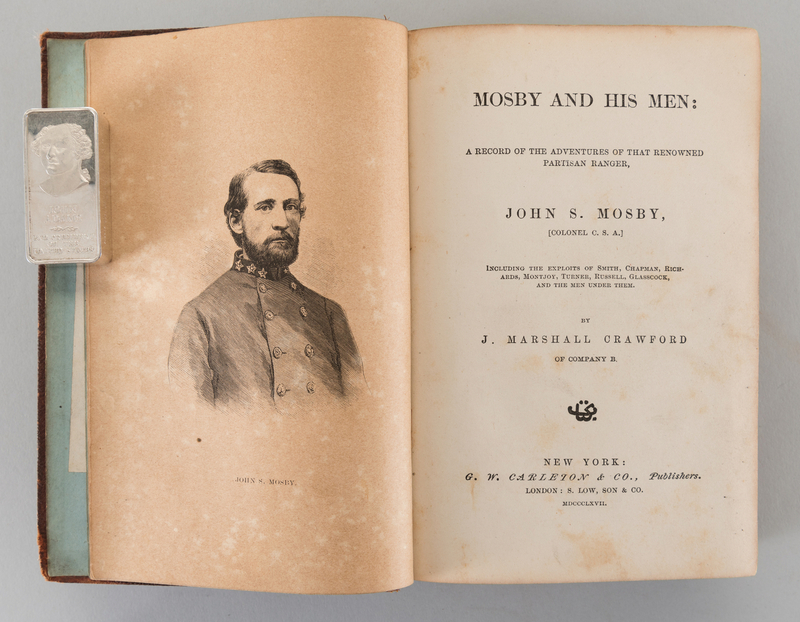 Previous owner's bookplate on pastedown. 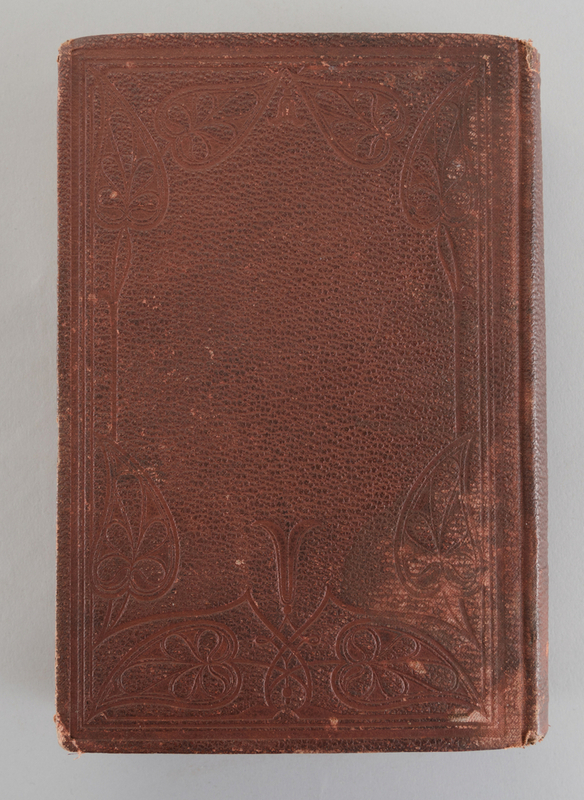 Later owner's name in ink on free endpaper. Rear pastedown shows removal of card pocket. Pages show just a touch of toning and occasional foxing. 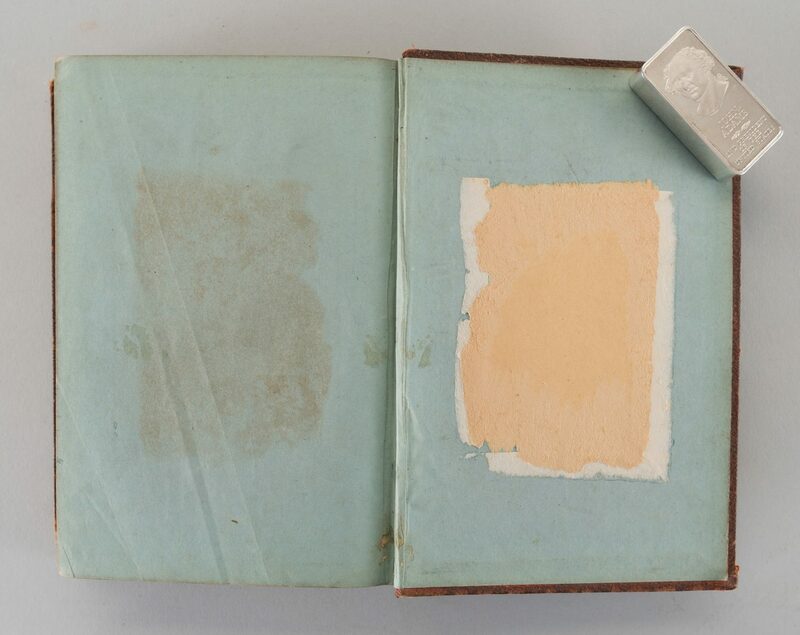 Plates are heavily acid toned due to different paper.